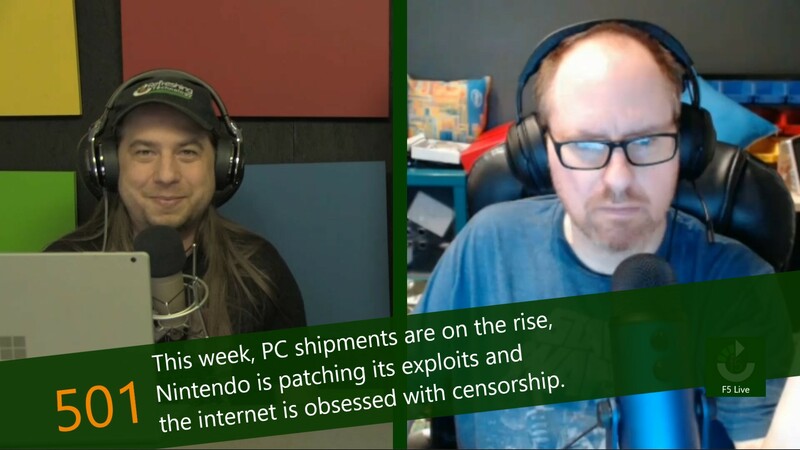 This week, PC shipments are on the rise, Nintendo is patching its exploits and the internet is obsessed with censorship. Earlier in the year, it was reported that there was a flaw in the Nintendo Switch hardware which made bypassing the system protections fairly easy. These types of issues exist fairly often in modern hardware, as firmware developers reply on the ability to patch too heavily. The issue here is that the flaw was in the Tegra X1 chip provided by NVIDIA, meaning that software alone could not guarentee success in preventing owners from hacking the system. Over the past year, one of the big topics on the internet has been about internet censorship. Some people believe that the internet should be a place for the free and open exchange of ideas. Others believe that it is the responsibility of platforms to censor the content that users publish, based on their own version of reality. A surprising percentage of people believe both of these things at once. It was only a month ago that a federal judge rejected a governmental argument that AT&T's purchase of Time Warner would harm the industry. That rejection signaled the end of the fight for AT&T, who wrote their check and began the process of integrating the company into the AT&T business. The biggest immediate change was the name of the company; to prevent confusion with the former cable company, the company was renamed to WarnerMedia.